These are the best restaurants in Porto! Collaborative post written by 7 bloggers! 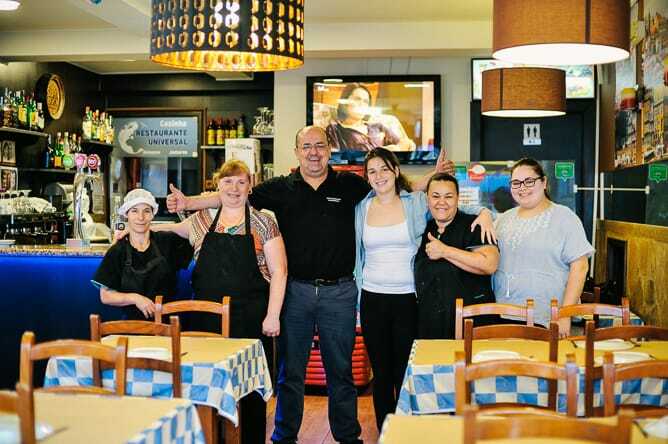 I’ve already written about the best family restaurants in Porto, the best restaurants for a low budget, the best restaurants for groups and the best vegetarian restaurants. Uff, that’s a lot. 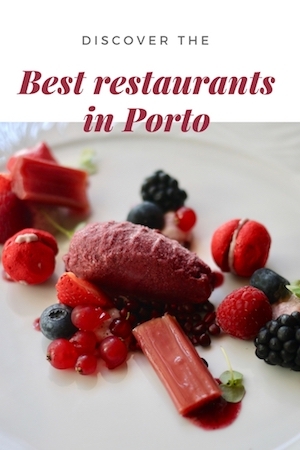 But it was missing an overall list of the best restaurants in Porto. 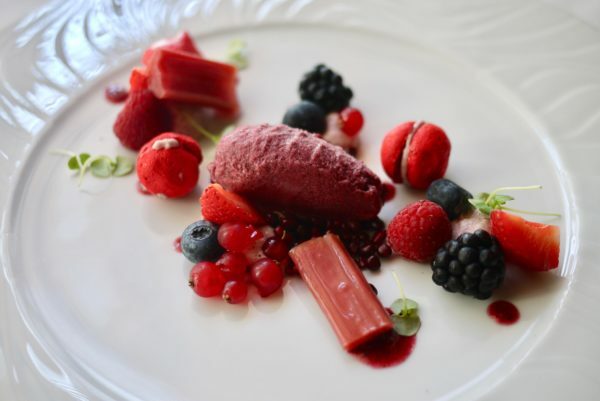 So, what are the best restaurants in Porto after all? the passionate Adriana and Liliana from the lifestyle blog Sisterhood of Foodies. 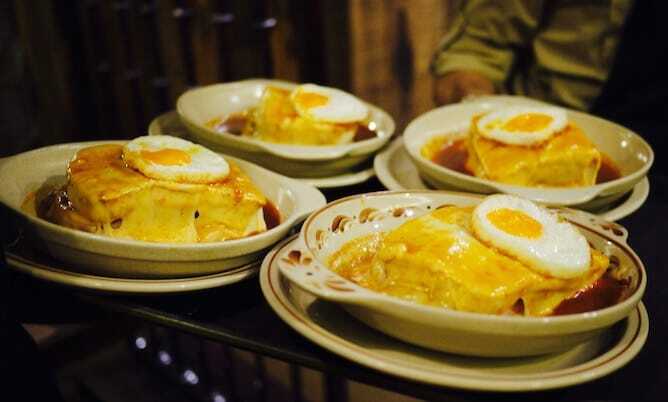 I included Brasão Coliseu on this list of the best restaurants in Porto as it is a great value for money option, specially if you want to try the typical dish called Francesinha. Brasão Coliseu does not have lunch menus, but you can eat for around 20€/person, which I find reasonably affordable given its reputation and location. 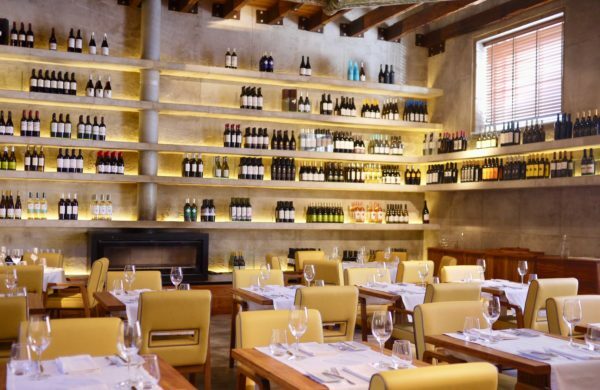 Besides the amazing food, Brasão Coliseu has an attentive service and a very trendy decoration. It has two large dining rooms which make this restaurant a good option for large groups. How to get there: The subway station Bolhão and Campo 24 de Agosto are 10min walking distance. Whenever I am asked to choose the best restaurants in Porto there is one that immediately comes to mind: Cafeína. 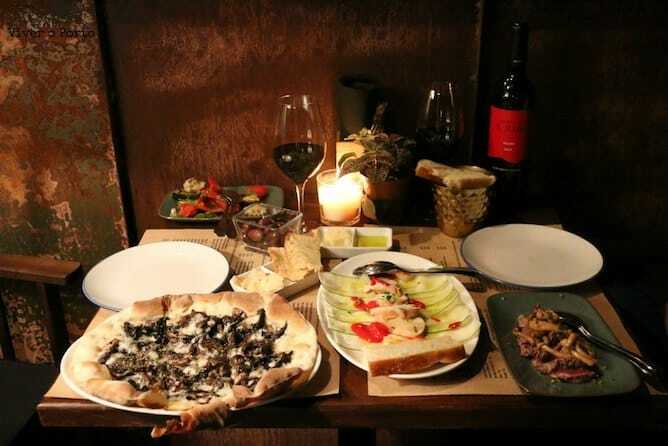 This 20 years old restaurant is a trendy place with an attentive service. You should book ahead and – take my word for it – ask for a table by the window. There is an executive lunch menu (€16/€18). Dinner is à la carte, and the price is around €35/person. 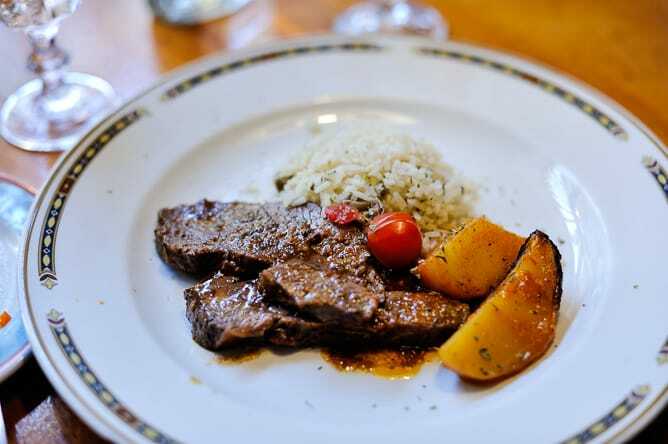 The cuisine is based on typical Portuguese dishes and some of French or Italian influence. And, naturally, there is a superb wine list to go along. 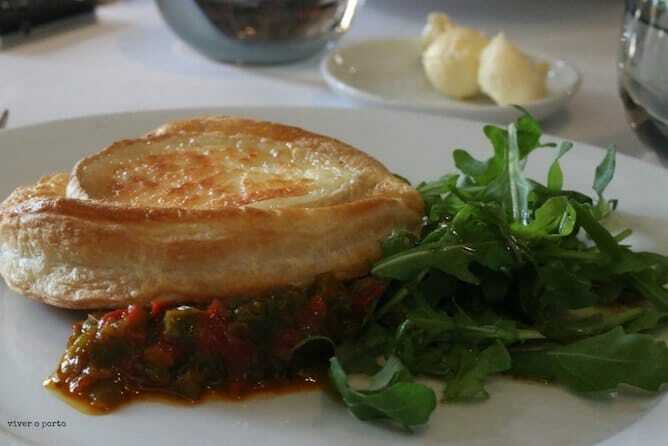 You shouldn’t miss the starters, such as chèvre cheese in puff pastry. In the main dishes, codfish cooked with bread crumbs is quite famous, but there are many other temptations. How to get there: buses 200 and 500. 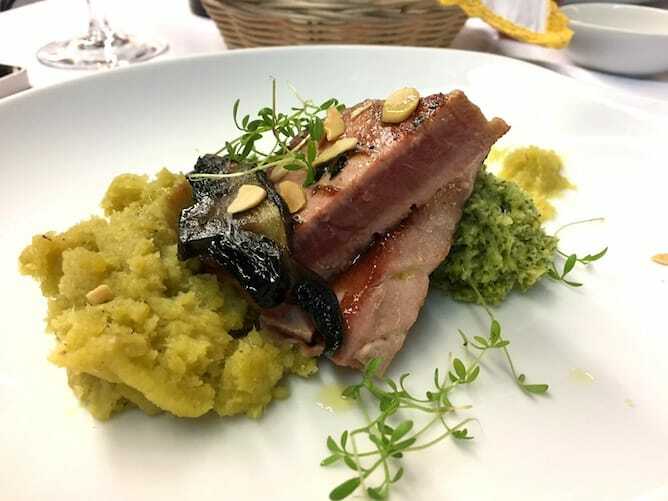 Casa Aleixo is a reference for anyone who likes to eat very well, and for that reason it couldn’t be missed on this list of the best restaurants in Porto! 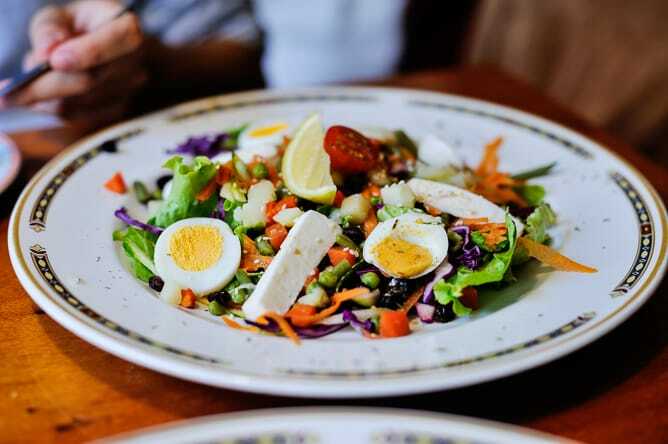 Specialised in traditional Portuguese food, you can start your gastronomic adventure with some codfish cakes with green beans salad, delicious alheira croquettes with Portuguese mustard, among other delicacies. 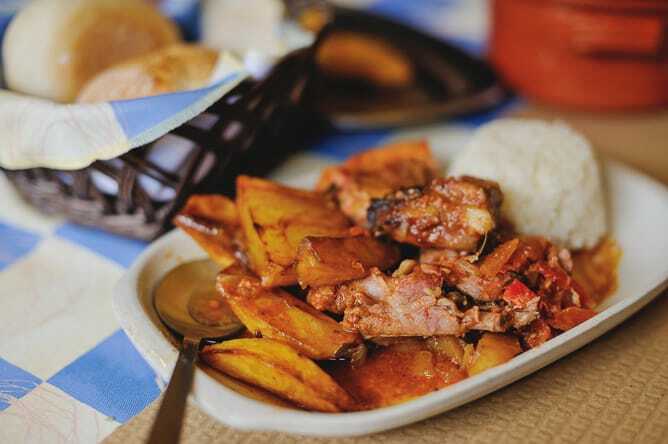 Then you can indulge yourself with some typical dishes from Porto, such as Tripas à moda do Porto (stewed tripes with white beans) or black pork loin roasted on a firewood stove. 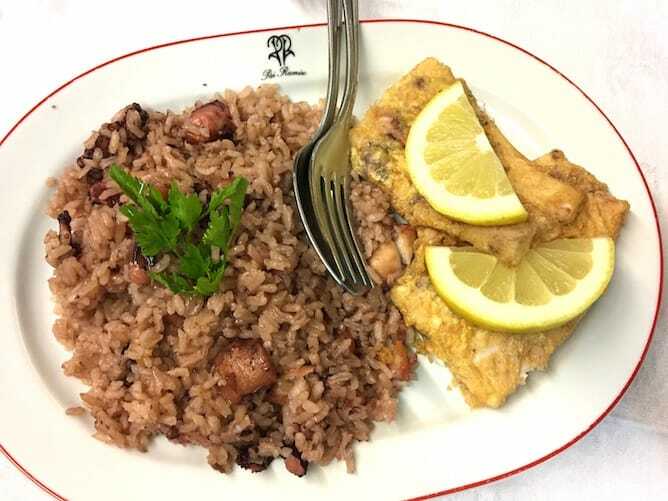 But the jewel of the crown lies in fish: octopus fillets served with octopus rice. The fillets are large and tender, and you’ll be served a generous portion of an impeccably cooked octopus rice. 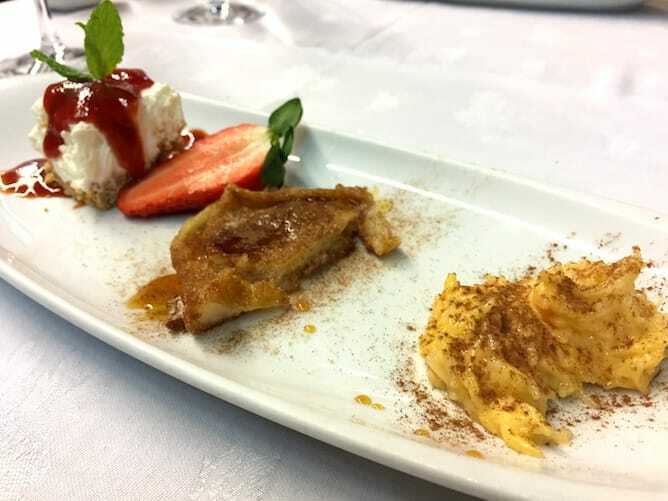 After the main dish, you shouldn’t miss Aleixo’s famous french toast and a homemade aletria. 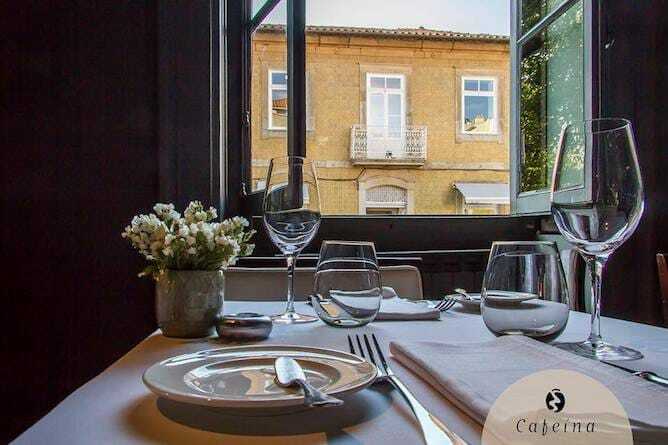 The restaurant is located at the heart of Campanhã’s neighborhood, and it has an average price of €25/person. How to get there: The subway station Campanhã is 5min walking distance. Comme Ça is one of the best lunch deals in the city, and hence my personal choice as one of the best restaurants in Porto. Their decorative motif is “casual chic”; retro bric-a-brac will give you something to look at if in a queue or feel slightly claustrophobic in the tight grid of tables. 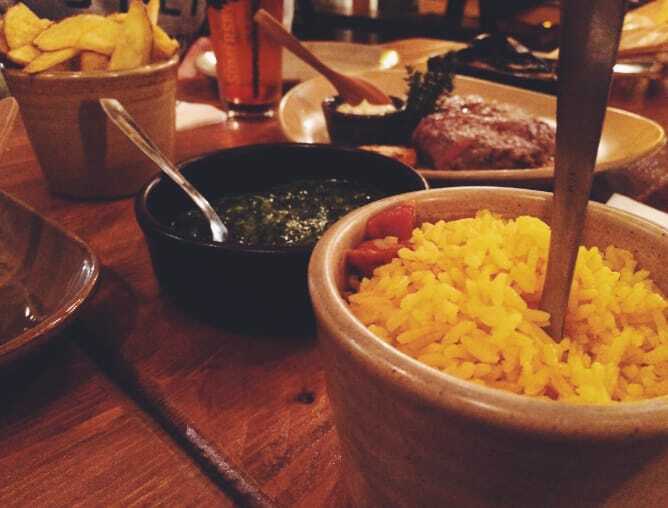 The food is mostly traditional Portuguese (with a touch of French), but there is always a vegetarian option. The lunch menu is currently €4.80 and includes: a plate of the day, one pass at the salad bar, water, and coffee. Another pass at the salad bar is €0.50, soup is €0.50, dessert of the day is €1.50. A hungry person will likely need soup and dessert to fuel up as portion sizes are on the smaller side. How to get there: Aliados subway station is a 5-minute walk, Trindade and São Bento stations are less than 10 minutes by foot. 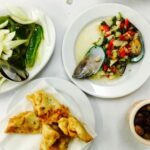 This is one of the well-kept secrets of Porto: Helder, one of the former owners of the amazing restaurant O Carteiro, fell in love with an Italian woman and they both created a new project that rescues the concepts of sustainable food using local, seasonal and biological ingredients. 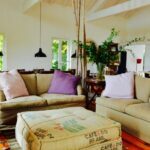 Helder opens the doors if his house – and what a house, located in Foz Velha – every Tuesday and Thursday night. They are often wonderful events for meeting new people, but it is also a good place to have private dinners with friends or business colleagues. You have to subscribe to attend these amazing dinners so there is no point in showing up unannounced. To book your place, send an email to geral@garfadadoouro.pt. The dinners cost € 60 / person, which include all dishes plus wines. 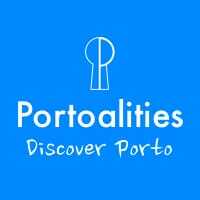 Do not forget to use the code PORTOALITIES5 which gives you a discount of 5 € / person on your meal. In order to have dinner at Helder’s place just send an email to geral@garfadadoouro.pt to check his availability. How to get there: take the tram Line 1 until Ouro. The house is a 2min walking distance. 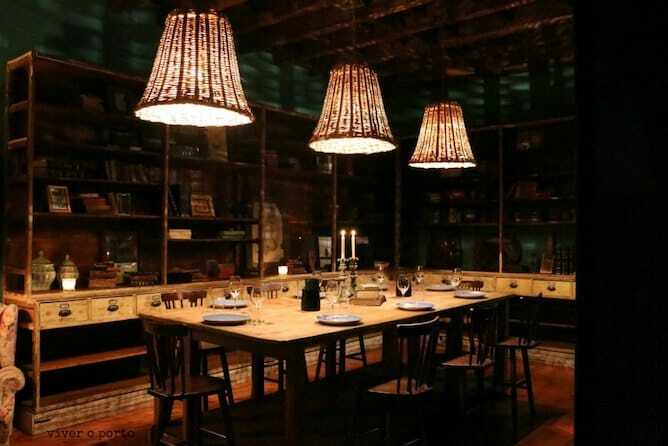 Euskalduna Studio is undeniably one of the best restaurants in Porto. 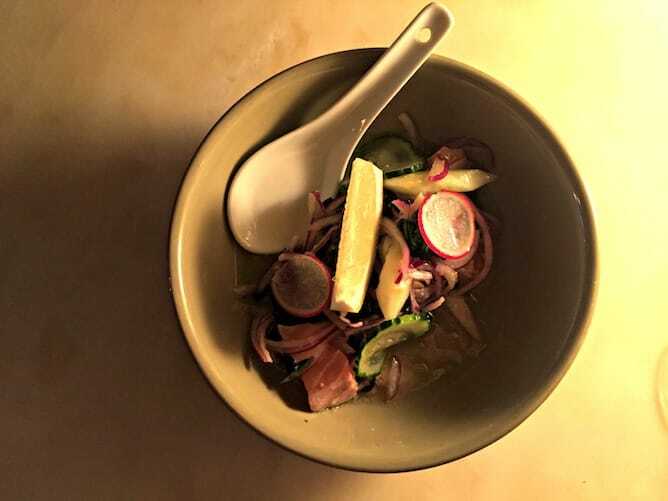 There are only 16 places in this intimate restaurant with a Japanese-styled decor, so be sure to book ahead. 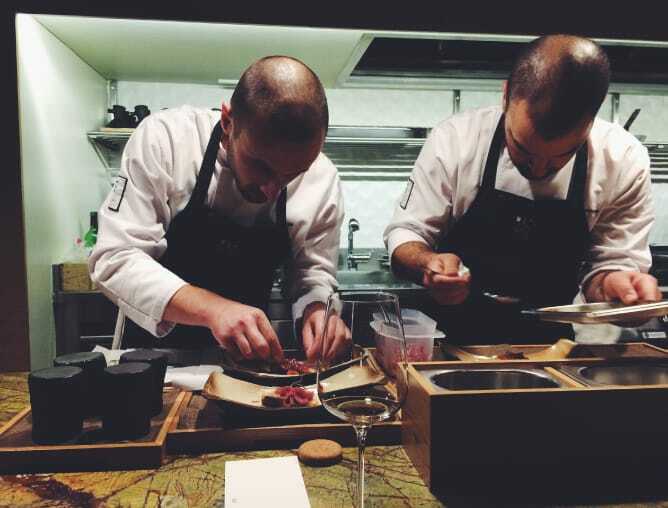 The tasting menu is the main attraction, consisting of ~10 dishes for 70€/person. 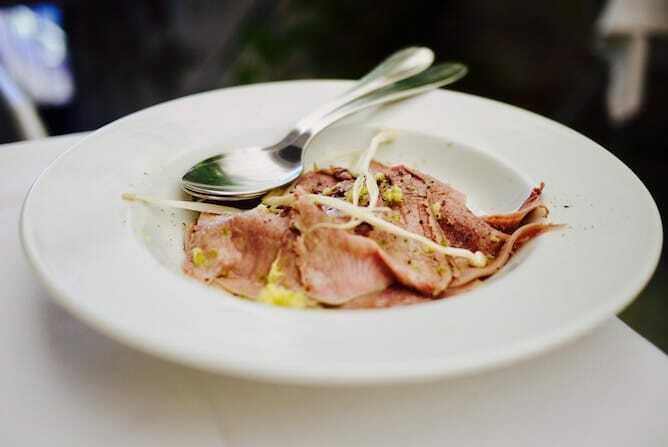 The menu may also be expertly paired with either wines, beers or teas, chosen to complement each dish by the sommelier. There is also a daily special which varies according to ingredient availability. 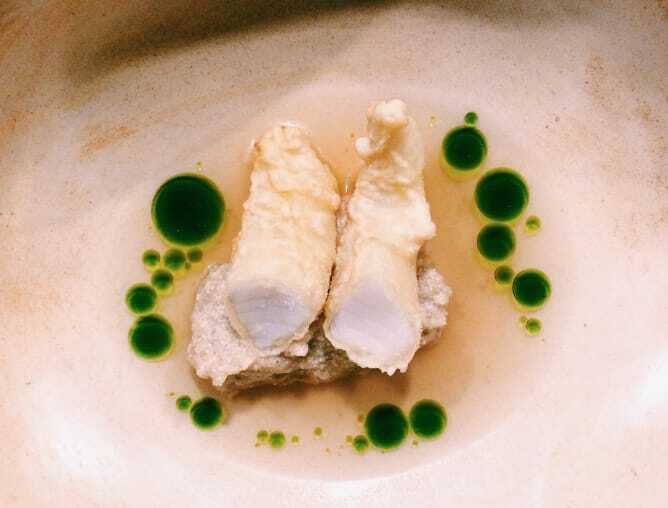 The dishes in the menu vary but may include the wonderful Algarve prawn with curry slush, the dashi soup with caramelized egg yolk or the fried John Dory with fish roe açorda. While you’re there, you’re lost in space and time, only to leave vanquished of all angsts and feeling like dinner may be therapy after all. How to get there: A 5 minute walking distance from the Campo 24 de Agosto subway station. I very rarely accept dinner invitations, as I feel pressured to write good reviews about the places (and my policy is to only write my honest opinion about everything that is going on in Porto). But I must confess that I was very glad when I was invited to visit Oficina; after all, it has a renowned Chef, Marco Gomes, and a wine list that was carefully designed by the director of the Institute of Green Wines. My expectations were highly exceeded at Oficina. 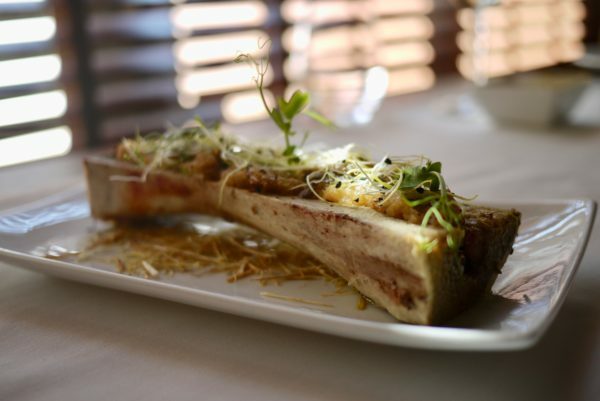 The starter – veal bone marrow – and the main dish – black swordfish with banana puree – highlighted the chef’s competence and culinary imagination. The wine, as expected, was superbly harmonised with the food, which ended with a perfect red berries tribute. The prices are a bit high for Portuguese standards, but Oficina has a very reasonable executive menu for 25€ (which includes starter, main dish, dessert, wine and coffee). And, trust me, you won’t regret the money spent at Oficina. How to get there: The subway station Lapa is 10min walking distance. 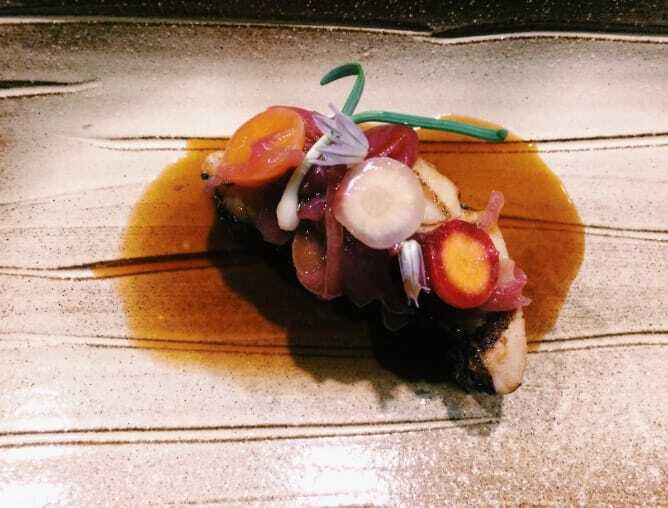 As soon as I visited Puro 4050 it immediately entered my list of the best restaurants in Porto. It has a rather unique concept, where the main star is the mozzarella cheese. There are many mozzarella varieties (from bocconcini to smoked mozzarella), served with various options such as grilled vegetables, typical Italian sausages, risottos or pastas. There is no fried food on the menu of this vegetarian-friendly restaurant. 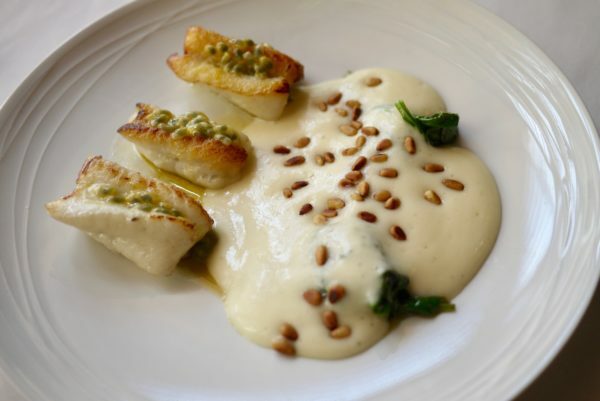 There is no lunch menu, but there are options such as the mozzarella tasting (€19). A full meal with dessert (you must try the Port wine tiramisu) costs around €25/€30. 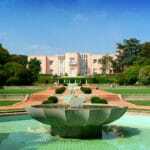 How to get there: The subway and train station São Bento is 10min walking distance. Restaurante Universal is on my list of the best restaurants in Porto for traditional “pratos do dia” for under €5/person. Granted, plenty of similarly-priced restaurants still exist in the city, but the quality varies. At Universal, the service and dishes consistently punch above their price class and portions are generous. You won’t leave hungry! It would take some serious, dedicated eating to spend more than €7, total. Typical plates are €3.50-4.50 and include bread. Their pots of tomato rice and slow-roasted meats are total comfort food, but get there before 13h or you’ll have to wait for a table. Soups are usually €1, drinks and desserts €1-3, but I doubt you’ll have room. How to get there: subway station Carolina Michaelis is 5 minutes walking distance and Lapa about 7 minutes. Shiko was the first Japanese tavern to open in the city by the hands of the chef Ruy Leão, an expert in Japanese gastronomy. 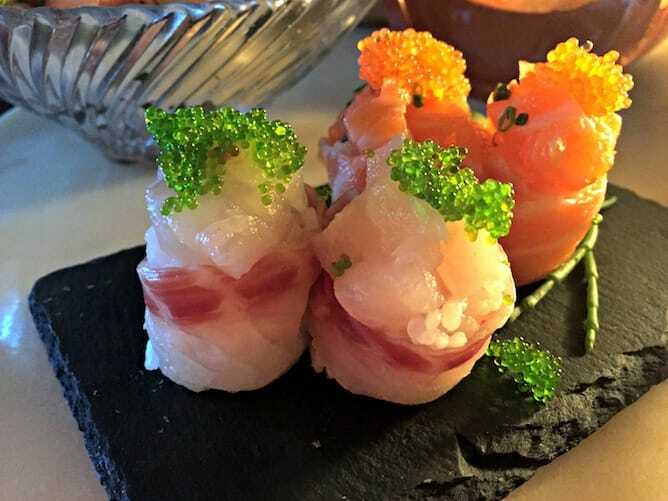 Here, the flavours are amazing, which is why Shiko, in our opinion, deserves the recognition as one of the best restaurants in Porto. 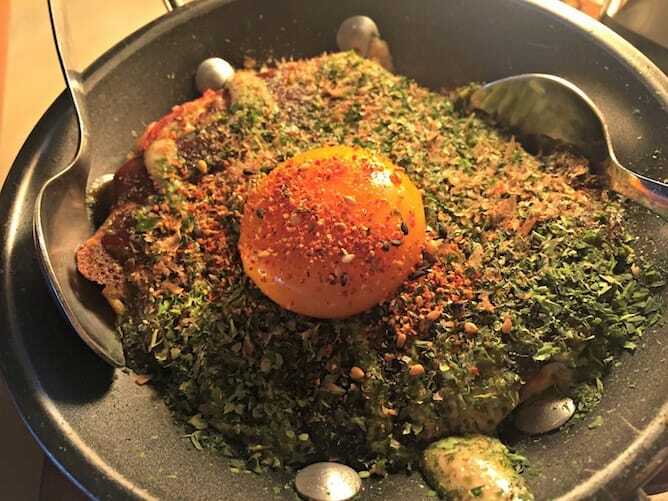 The menu focus on Japanese snacks such as okonomiyaki (typical Japanese pancakes stuffed with seafood and bacon, onion, ginger, nori seaweed, egg yolk and Japanese mayonnaise); marinated mackerel and the famous salmon tataki. This restaurant has 20 seats, so make sure to book your table. The average price is €30/person, but lunch menus are available ranging from €10 to €21. How to get there: both the Guindais’ funicular and the famous São Bento station are 10min walking distance. Terminal 4450 is surely one of the best restaurants in Porto and is located out of the tourist route, inside the maritime port of Leixões. 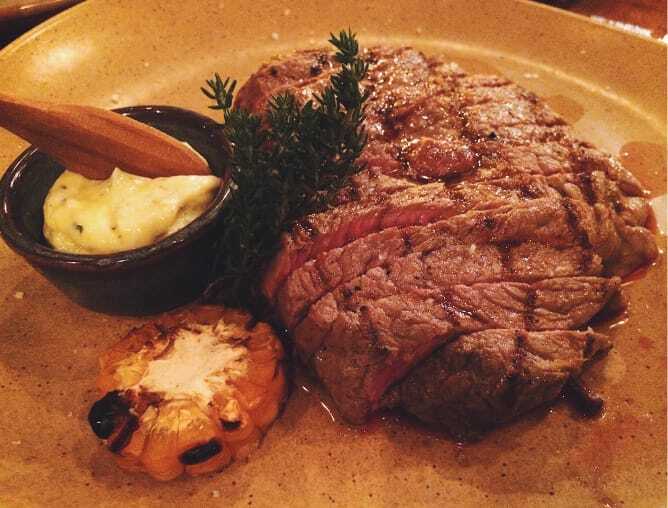 Those who go to Terminal 4450, go for the meat: the beef ribeye makes the restaurant’s fame. 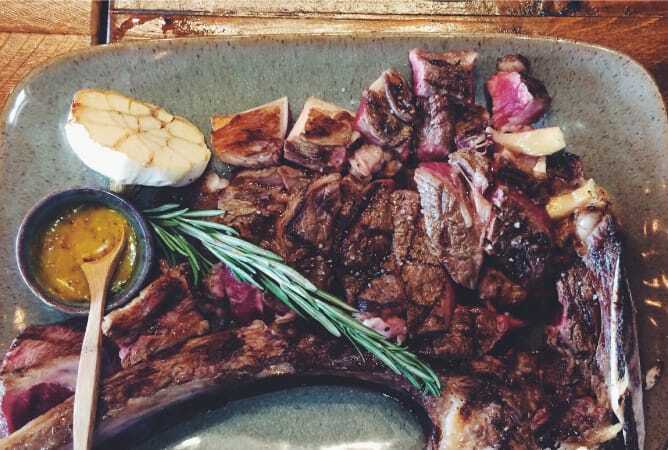 This great piece of meat weighs around 1 kg, is seasoned to perfection and accompanied by a choice of 3 worthy side dishes, such as onion rings, grilled portobello mushrooms, and esparregado. For 38€, the fest is enough for 3 people, or even 4, if shy with meat. The menu extends to other cuts such as the T-bone, tenderloin, or Black Angus, and it has a kid’s menu. A lunch menu consisting of couvert, soup, main, drink and coffee is available for 10€. The list of beverages gathers a selection of Douro classics, craft beers and colourful sangrias. 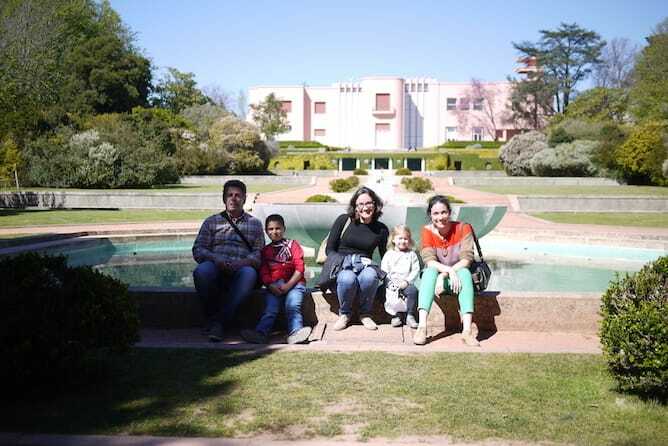 How to get there: A 10-15 minute walk from the Mercado de Matosinhos subway station. 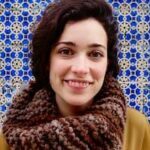 Extra: Go on a tour in Porto! 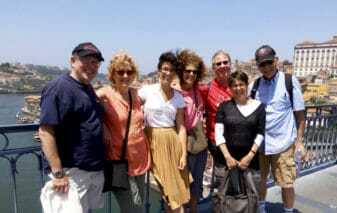 To know more about my private tours in Porto, check here or simply send an email to sara@portoalities.com. It will be a pleasure to welcome you in Porto! Disclaimer: Portoalities does not hold any credit or responsibility on the content of each restaurant, with the exception of the restaurants that were picked by me. All the texts are from the full responsibility of the bloggers who wrote it. 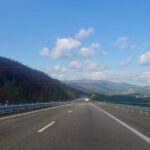 The images of each place where taken by each blogger as well.